Soromundi, which means “sisters of the world,” is the name of a far-off star. 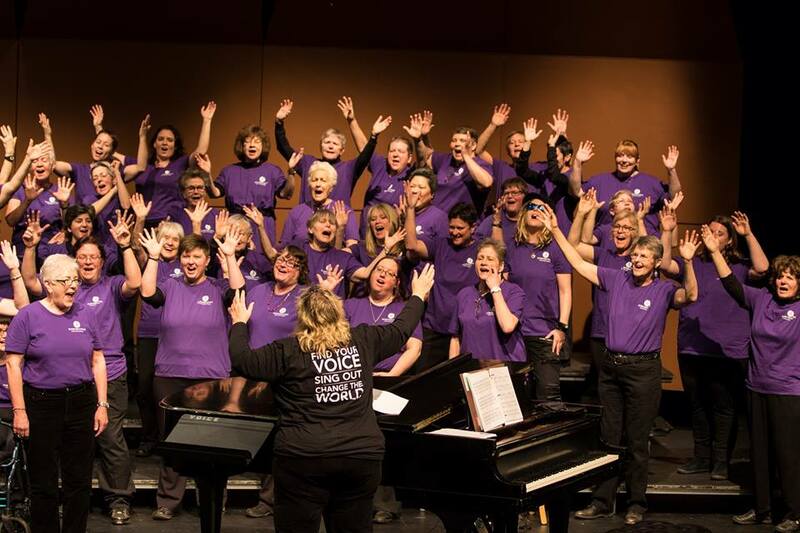 Our choir is non-audition and open to all women. Our mission is to come together in song to celebrate ourselves and our community as a visible expression of lesbian pride. Soromundi is dedicated to celebrating diversity. Our song selections span generations and cultures, coming from vastly different political and religious perspectives. But when we sing, our songs all make the same statement: "We are here in all our diversity, and we are strong because of it." Soromundi has come to be known for its political, emotional, and musical power. The gay community has long been aware that our power lies in our numbers. When Soromundi was founded in Eugene by Karm Hagedorn in the fall of 1989, there were five members. Since then, the choir has flourished. Over the last five years especially, our numbers have steadily climbed, reaching over 75 active members last season.